Things are going along just fine. I apologize for not being at the October meeting. Janet and I will be vacationing in Oregon. You will be voting on the proposed changes to the Bylaws at this meeting. The changes are included in this newsletter. Please look at them carefully as the committee feels they would help the Society run more efficiently. As President I have been looking at some ideas for raising funds. Looking ahead to our future needs associated with moving the History Center, we will need to increase the size of our treasury. Two of my ideas are to participate in the Spring FORPD Community Garage Sale and, secondly, to possibily sponsoring a SOUP dinner which could be held at the Community Clubhouse. I am very open to your ideas and plan a discussion on fundraising at the January meeting. 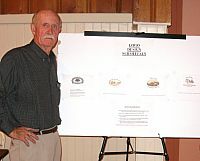 Ray Burmaster, chair, is standing with the logo submissions. 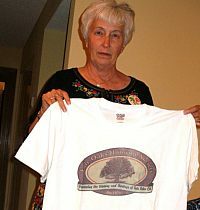 Janet McWilliams holding Historical Society t-shirt used at the first F.O. Chricken Festival. Miriam Ober won our logo contest with her entry above. She will receive a $50 gift certificate for a Slocum House Brunch. Miriam wrote of her design, "The shape and design elements should put one in mind of an antique picture frame or a commerative plate. The banner element dispays the Historical Society Mission while providing a "resting place" for the Oak Tree, symbolic of Fair Oaks. The banner could also be seen as the "container" in which the commerative plate rests." George Alpert, a docent from the Sacramento Railroad Museum will be our guest to share the rich history of the railroad. Mr. Alpert will discuss the importance that Sacramento played in the race to complete the transcontinental railroad across the United States. Other subjects he will share include the role the railroad played in settling California and stabilizing it as a prosperous agricultural state plus what you will see on a visit to one of Sacramento’s major history museums. I would like to take this opportunity to thank Retired Captain Bill Brown for bringing in many Fair Oaks Fire Department historical items, some of his personal collection, and sharing his rich history and knowledge of the department. A special thank you goes to Retired Captain Mike Williamson for bringing in a box of old pictures that depicted how it was to be a member of a small town fire department and sharing some of his experiences as a fire fighter. Both Bill and Mike come from fire fighter families. Bill’s father, William Brown Sr., served in the FOFD as did Mike Williamson's father, David. I am sure their fathers were proud to have their sons follow in their footsteps. 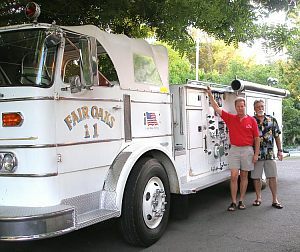 Tony Sestito went above the call of duty for driving over old Fair Oaks engine #11 from for our membership to view. It was so nice to see a symbol of Fair Oaks’ pride and rich history. I would also like to thank Captain Randy Wooton from the Sacramento Metropolitan FD for providing the FOHS with pictures and written history. These pictures were shared at July’s meeting and will be added to the Society's collection. 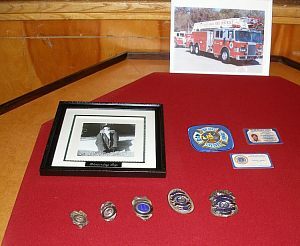 To the left, note Bill's series of badges over the years displayed on the poker table Bill's dad built for firehouse recreation. The society has sold many copies of the 2006 Fair Oaks pictorial book. Copies will be available at the July meeting for $20.00. On September 10, "Book Day" was held at the History Center featuring Blanche Rosevear's personal scrapbook of the Fair Oaks Fire Protection District from 1934 to 1994. Visitors also viewed a complete collection of yearbooks from San Juan High School, the newly closed John Holst School and the Fair Oaks Centennial yearbook of 1995. PLEASE MARK YOUR CALENDAR and save December 10th.for our annual Christmas Open House at the History Center. It will be from 1-4 p.m. Hot cider and punch will be served. Please bring some cookies to share. The following people have been docents this year: Diana Lennon, Lois Frazier, Meg & Larry Smart, Gordon & JoAn Heidt, June Melvin, Warren & Janet McWilliams, RoseAnne Lamb, Fran Sargent, Sherry Wood and Ione Radonich. Diana Lennon and Bob Barrett will be docents in November. Thank You - If you would like to be a docent please call Lois Frazier 967-2967. Respectfully submitted by the FOHS nominating committee. 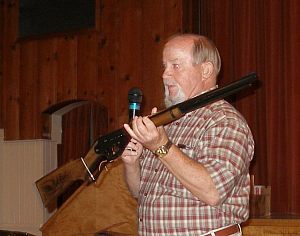 Pete White is sharing an historical moment when he got his Daisy Red Ryder BB gun as a child. He recommends the DVD rental "A Christmas Story" starring Darrin McGavin about a little boy's efforts to buy such a gun. He says it is heartwarming taking place circa 1939. We welcome William and Kathryn Miller who were voted into membership at the April meeting. Attached to this newsletter are the proposed revisions to the Society's Bylaws. There is also a one sheet SUMMARY of the changes. The changes are identified with a vertical line to the right of the paragraphs. Additions are underlined and deletions are shown as strike-throughs. The proposed revisions will be presented, discussed and voted on at the upcoming meeting. From time to time, we get some mail in the FOHS e-mail box. I'll share two notes with you. I have just been informed by the Keeper of the National Register of Historic Places and the California State Historic Preservation Office that the Old Fair Oaks Bridge has been listed on the National Register of Historic Places as of September 25, 2006. I thought that those with a stake in the community and its rich history should be made aware of this wonderful news. Best, Paul J. P. Sandul"
My name is Betsy Mitchell Shepherd and I was born and raised in the Fair Oaks area, as was my family back to 1860. I am doing some genealogical family research and I believe that one of my ancestors was Florin Kohlbaker. He was listed in the 1860 census in the Center Township with "hotelkeeper" entered as his occupation. I am curious to know if there was a hotel in the area that might have been owned or run by him. He lived north of Greenback Lane between Sunrise and what is now Fair Oaks Blvd. He had come from Germany, and could have been a hotelkeeper there and just listed it as his occupation here. I am not sure. If you have any information on hotelkeepers in the area in 1860, I would appreciate it. 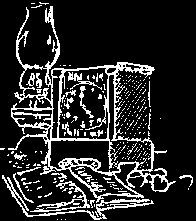 Thanks again - Betsy Shepherd"
I just received our July Newsletter and must respond by pointing out a significant error on Page 7, "Old Homes of Fair Oaks." In that article you list the date of construction of the house at 2956 Villa Court as 1934. The true date of construction was nearly a decade earlier. 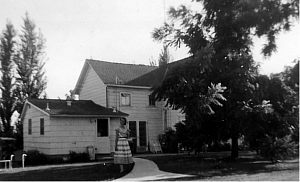 My grandparents, Clarence and Kathleen Wilson, built the house starting in 1924 and completing it in 1925. The target date of 1925 was very important because the house was being built in order to have a suitable venue for my mother's wedding. My mother, Lorane Wilson, married my father, William L. "Bob" Dupen, in the 2956 Villa Court home in 1925. During the first ten years of my life I spent alternate weekends with my grandparents on Villa Court. My brother and I would explore the dirt road past the Women's Clubhouse to downtown, the dirt road - now Pennsylvania Avenue - down to the town dump and the hovel of Pegleg Pete, and the dirt road to the bluff. My grandparents' house, and the Popovich house across the street (now gone), were the last two houses on Villa Court. It was fully wild east to the bluff. 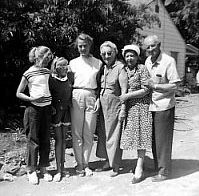 My grandmother became ill in 1940 and my grandparents sold their house to the Quackenbushes (yes) and moved to Sacramento to live with my Mom and Dad and my brother and me. The "mother-in-law's quarters/' an annex to my grandparents house, was added to the building, long after my grandparents departed, by a later owner unknown to me. I hope you don't mind my correction to your story. I am sort of a nut on this kind of stuff, (n fact, if you'll look back to one of the Fair Oaks Newsletters of late 1997 or early 1998, you will find a complete exposition of my family's history with Fair Oaks, dating back to the 19th century. Good luck to the society, the Newsletter, and you. This adorable house was built in three stages. Originally, the front portion was built. The kitchen at that time was a separate building behind the house. It was probably built separately for safety reasons. The dining room was added on later and the existing kitchen was a miner’s shack that was brought up from the river and attached. The old kitchen is no longer there. Bob Massey and Elmer Bergh rebuilt the fireplace and relocated it on the opposite side of the living room. Other remodeling went on from time to time but the house remains very much as it was years ago. 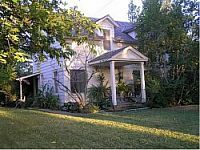 This 2 story house has 4 bedrooms and 2 baths, and a formal dinning room. It sits on 4 acres consisting of yard, pasture, and garden. Carol’s pasture pet, Mr.P., a retired endurance running horse, is both handsome and friendly. Carol’s sister loved horses and there was always a horse in the pasture. When Carol and her son moved into the house after her parents died, she adopted Mr. P. so there would be a resident horse. Carol’s father worked for Blake Moore Equipment Company and was branch manager in Sacramento. Carol is an employee of the San Juan Unified School District. She is an active quilter and enjoys gardening. It was delightful visiting this home. Thanks Carol for letting us in and sharing your warm, lovely home.